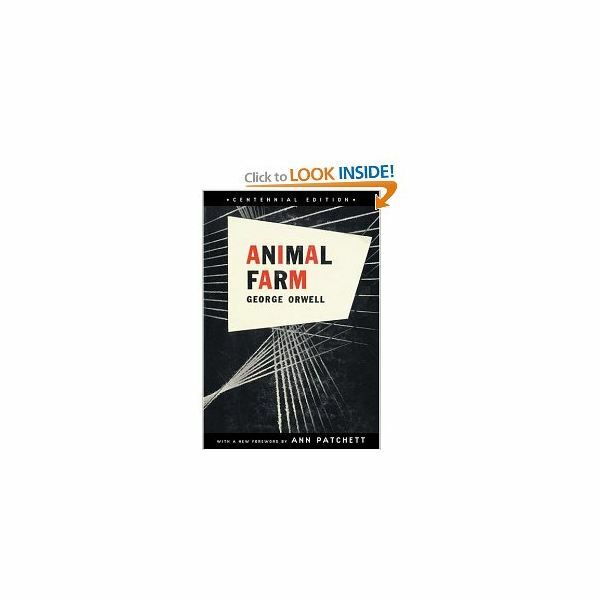 When teaching with the book, Animal Farm, students need to understand the historical context and the themes in this utopian novel. Place students in small groups to research, discuss and learn the history and themes behind this classic novel. In addition, if younger students are reading the novel, they need to understand the literary term, fable. A fable is a story that uses animals to tell the story. The animals usually talk; however, the moral to the story is often more than child’s play. In order for students to understand the underlying history in the novel, they need to research the history of Russia and learn about Communist rule, beginning with the October Revolution of 1917. *George Orwell’s history and political views. *Tsar Nicholas II and Russia in the early 1900s. *Soviet Union history until 1945. Each group should research the topic to create a presentation. The presentation should have a visual aid and can be a Power Point presentation, depending on the availability of technology. Make sure that students include a bibliography or works cited page. After the students get beyond the fact that animals are talking in this fable, students need to figure out some of the more important themes. Using small groups again, give each group a theme to explain to the rest of the class with examples to support their ideas from the novel and in Soviet rule. *Use of language to control. *Dystopia or the fall of utopia. Once students have come up with examples of the theme from the novel and the Soviet rule, they should share their information with the class in the form of a presentation. These presentations should be assessed with a rubric. Criteria for the rubric could be the following: teamwork, content, creativity, organization, volume, and eye contact.